Customer experience (CX) is an important topic these days. It is one of the fastest growing job descriptions in the technology and innovation world and is supported by some well established disciplines like design thinking and service design. But most CX work has a gaping hole at the centre. It does not consider price and value. In most organizations it is hard to tell the difference between user experience and customer experience. There is a great deal of work done on customer journey maps and the multiple touch points across these journeys. Good research plunges into the emotional responses of both customers and the people serving them and then translates this work into different personas. In a recent survey we did of over 100 customer journey maps, we did not find pricing mentioned even once. Even economic value to the customer came up in only 3 of 107 maps. This was not a scientific survey of course. The maps we looked at were those that came up near the top of Google searches. It is quite possible that a customer journey map that includes price and value in it is kept close as it reveals strategic advantage. I hope this is so. I doubt it though. I know many people in the design thinking and service design communities (I manage the 122,000 member LinkedIn Design Thinking Group) and based on many conversations in this community there is a general lack of awareness in questions of pricing and revenue model design. To some extent this is also the fault of pricing experts, who see pricing as a rather technical discipline primarily concerned with things like the pocket price waterfall or price optimization. Many pricing consultancies focus on the use of tools such as Van Westerndorp or Gabor-Granger (methods popular with certain pricing experts) to work out willingness to pay (WTP) or conjoint analysis to figure out the value of features. Much of pricing work is thought to involve price setting. This alienates the design community, who do not think this way. You will not end up with the right price if your focus is limited to price setting or optimizing for willingness to pay. Pricing is part of the designed world. Can we bring pricing and customer experience together in a way that enriches both? What business outcomes are we trying to achieve through this. Ibbaka is leading two events that will help to build bridges between the customer experience and service design communities and the pricing community. April 25 in Vancouver the Value Innovation and Pricing Vancouver Meetup will have a session from 6:00 PM at VentureLab downtown. You can sign up here. May 9 in Atlanta Karen Chiang and Steven Forth will deliver a half-day workshop at the Professional Pricing Society Spring Conference. You can register here. In the workshop we will have three hands-on exercises. As we developed these sessions, we did work on the mapping of design thinking and service design processes to pricing. Our insistence that customer experience include price is not without support. In a provocative piece last year (April 2018) ‘Stop practicing fake CX’ by Sampson Lee, pricing is called out as one of the top attributes of real CX. Ibbaka’s approach to pricing research and design fits into this model. In Lee’s well known 2006 customer journey map for Starbucks, price perception was an important part of the research. One could not map the emotions of Starbucks customers without taking into account price and when price became a factor in the customer journey. If this is true in a B2C case, it is even more true in B2B, where price is often a key point of interaction for multiple stakeholders. 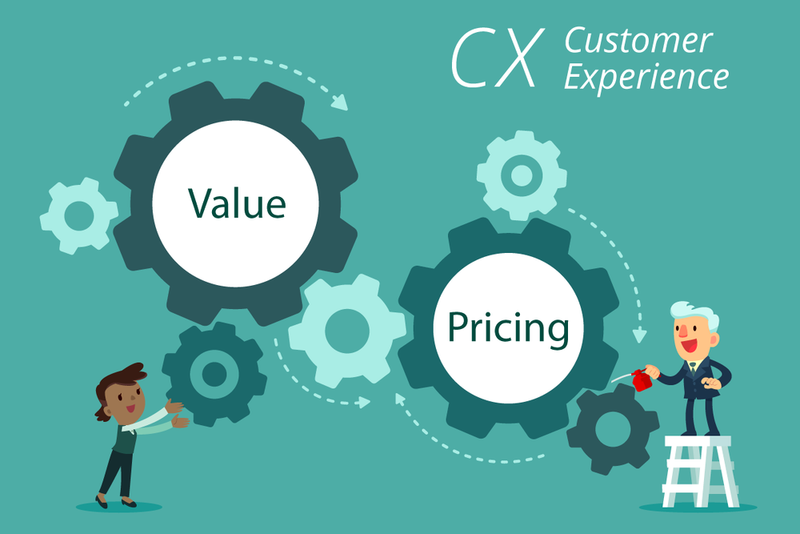 As CX includes pricing and product, it’s logically impossible for customer experience to compete with price and product. Makes no sense. Literally, that ‘experience’ isn’t experience but some ‘other’ thing. In other words, pricing and economic and emotional value drivers are central to the customer experience. A good pricing practice has to factor in customer experience, and customer experience has to include value and pricing. In our next post, we will go deeper into service design and pricing. You can read about pricing and customer journey mapping here.